Taylor Bouchand is a woman who enjoys her creativity. She loves her life as a well-known sculptress and painter who through her art has a grasp on life and its realities. That is until she meets a little boy in a gazebo on a cold wintry night. He was just a little boy, with an odd way of saying things when they first meet, but all of that would change. 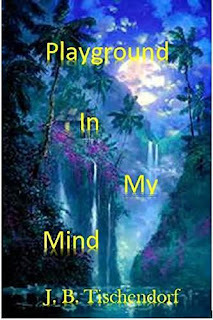 After several meetings with the little boy who will tell her his name is Michael, Taylor realizes that she is drawn to him more and more as he fills her head and her heart. It is not long before she realizes that there is something different about Michael, something that is impossible to believe is happening. Michael, seems to be aging faster than humanly possible. She is scared by what she sees and what she believes until finally she seeks help. She sees a psychiatrist and shares her story. The psychiatrist, Dr. Paulson here’s her story and having dealt with many patients who envision something that cannot be, he seeks to find the source of Taylor’s problem and just when he feels confident he knows how to help, something changes for him. He has a dinner party with his friends Peter Newman, the husband of Christine who passed away in a fire many years ago, and the Mastersons who are clients of Taylor. Neither one knew of a connection between them and the famous Taylor Bouchand. There were many surprises unveiled that evening that would uncover secrets and open their eyes to strange possibilities. They would all soon realize that life isn't quite how we perceive it, but holds secrets from us.